1. 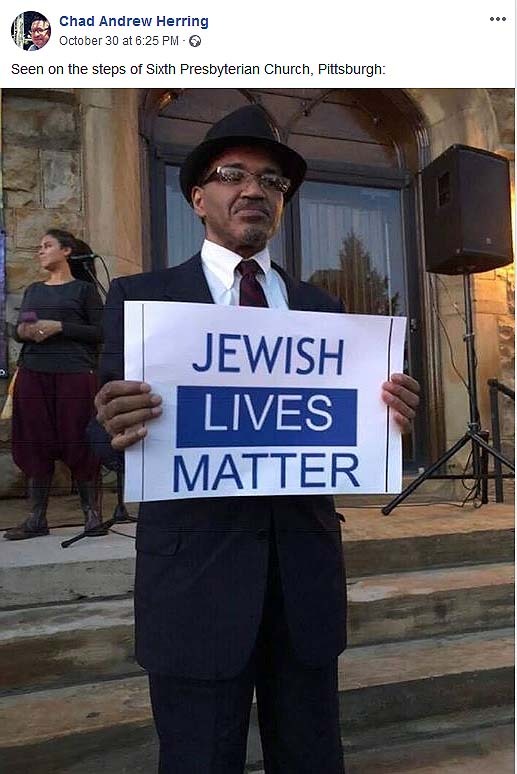 On October, in Pittsburg, PA,, 11 Jewish people and 4 Officers were shot. The photo is of a man who stands on the steps of a church directly across the street from where the shooting took place. The next day, Sunday, October 28, 2018 I took a survey and at the end, when the demographics are asked of the respondent, the question inquired about my religion. For the first time ... FIRST TIME since 2004, "Jewish" was not on the list. Every other religion was listed, but not "Jewish". Have you ever seen this before? 2. Do you find this odd or not? 3. Have you found that the religion you most identify with is missing on a survey or some other tool? 4. Maybe there is an explanation, if you have one, would you share it?